The US adaptation of Israeli dramas has been one of the headline stories in the international TV market over the last few years. But with the success of Showtime’s Homeland (based on Keshet series Hatufim), it’s easy to forget that US premium pay TV channel HBO was one of the pioneers of the US-Israeli partnership. Way back in 2008, HBO started airing In Treatment, a local adaptation of HOT’s psychological drama BeTipul. The show went on to run for 106 episodes over three seasons, which is actually more than the original Israeli version managed (80 episodes). HBO now appears to have revived its interest in Israeli shows. Earlier this year, it started developing Wish, based on Beit Ha’Mishalot (House of Wishes). And this week Israeli newspaper Haaretz reports that HBO has also picked up the rights to HOT’s Neveilot, a miniseries about two former soldiers who go on a rogue mission. The US version, to be written by Branden Jacobs Jenkin under the title of Eagles, will centre on Vietnam War veterans. While broadcasters around the world have picked up a variety of Israeli dramas, military and espionage stories still seem to be most in-demand shows to emerge from the country. This year has also seen Fox International Channels pick up Keshet’s False Flag, with plans to air both the original and an English-language version. 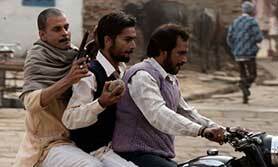 Elsewhere, Netflix has announced that it is to air a Bollywood movie called Gangs of Wasseypur on its US service. The film, which comes in two parts, will be re-edited as an eight-part series for the SVoD platform. Directed by Anurag Kashyap, Wasseypur is an epic tale that focuses on the coal mafia in India’s Bihar state. Netflix has also picked up 20 additional Indian titles from digital rights management company Film Karavan, including Fandry, Amal, Loins of Punjab, Kshay, Suleimaani Keeda and Piku. All this activity is a precursor to Netflix’s planned launch in India next year. Speaking recently about the company’s plans in the region, Netflix CEO Reed Hastings said the streamer was planning to produce some original Bollywood content ahead of the India launch. 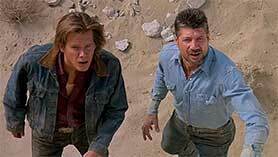 Is Tremors being reimagined for television? In other news, there are reports that actor Kevin Bacon has been signed up to star in a TV reboot of the 1990s movie Tremors, which has developed a cult status over the years. There are also strong suggestions that the companies behind German drama Deutschland 83 (RTL, FremantleMedia and SundanceTV) are plotting a follow-up series, probably called Deutschland 86. Deutschland 83 has received good reviews from critics and has been licensed to many international territories. It is not rating especially well in its domestic market, where the debut episode brought in around 3.2 million viewers on RTL. But it’s possible that the show’s international success will be enough to justify a series renewal. Those attending the C21 Drama Summit in London this week will have the opportunity to quiz one of the show’s screenwriters, Anna Winger. In the US, Disney Channel has just announced that there will be a third season of its coming-of-age sitcom Girls Meets World, created by Michael Jacobs and April Kelly. Echoing the gender-switching trend noted in a previous column, this show is actually a sequel to an earlier sitcom called Boy Meets World, which ran on ABC from 1993 to 2000. Aside from the US, it has aired on a number of Disney Channels around the world, including in the UK and Australia. This has been an unusual autumn season in the US for various reasons. The reluctance to cancel shows, changing attitudes to audience measurement, the rise of anthology series, the growing number of film-to-TV reboots and a trend towards online previews are a few cases in point. To this list we can now add the fact that December is set to have a whole new competitive edge. Traditionally, December has been quite a soft month in TV terms, with US channels preferring holiday specials and reruns to launching new series. But this year it looks like there could be a break with Christmas tradition. NBC, for example, is showcasing its new Eva Longoria comedy Telenovela, while A&E is launching new episodes of Unforgettable. Bravo is opening up season two of Girlfriends’ Guide to Divorce, while Syfy has both Childhood’s End and The Expanse coming into its schedule. And if all that isn’t enough, Amazon is also planning on offering all 10 episodes of Transparent’s second season starting from December 11. 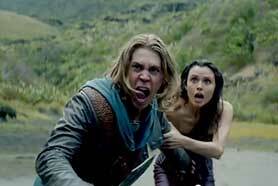 One interesting show that is waiting until after the holiday season has ended is MTV’s The Shannara Chronicles. Due to premiere on January 5, it is a lavish fantasy series based on the books by Terry Brooks.